Bhadrapur, The campaign to make Jhapa an Open Defecation Free (ODF) zone by 2017 is likely to fail due to lack of initiatives and surveillance from the bodies concerned. 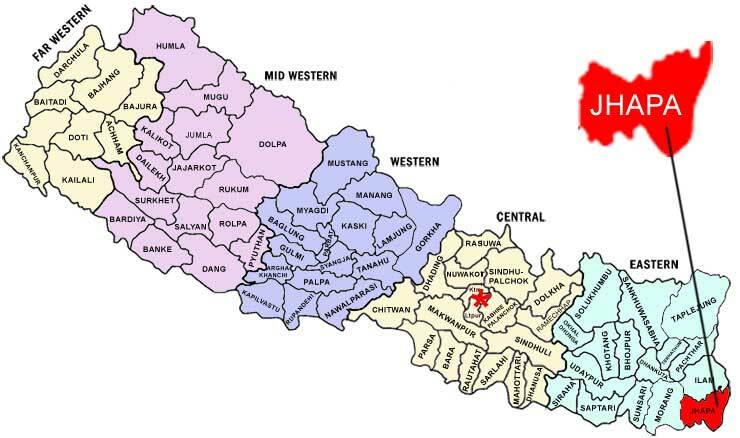 According to a recent report of the District Sanitation Committee, around 14 per cent people in Jhapa district are still without toilet. Only nominal households in Pathamari, Gaurigunj and Khajurgachhi have constructed the toilet while two thirds of people lack toilet. The ODF intervention in Jhapa district is not likely to get a success as the status of other locations is also not encouraging. Only 8 local levels out of 15 in the district are declared fully ODF zones during the four-year term of the programme intervention. However, representatives of donor agencies have claimed that the initiative announced for ODF has not achieved success due to political interference and local leadership's failure to abide by the rules though announcement was made to provide service to the households without toilet. Around 30,000 households in the district are without toilets. Of them, process is ongoing to construct toilets in 8,000 households in the last two months. It is said that 14 per cent households have no access to toilets including 2,300 households in the district headquarters, Bhadrapur. Worse still, the communities of Rajbansi, Gangai and other indigenous nationalities have no access to toilet even in Badrapur Municipality. Poor economic status, squatter and landless status, and conservative mindsets are also blamed for poor result of ODF intervention in Jhapa.